The Raptors are in the midst of the most successful run in franchise history. So why isn't that good enough anymore? 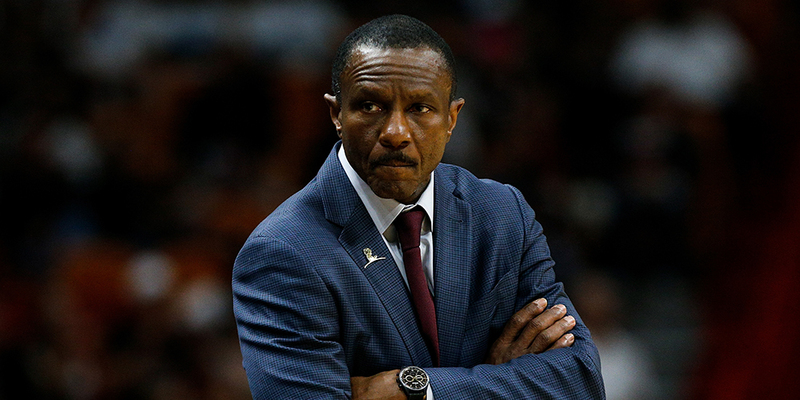 What the firing of Dwane Casey tells us about achieving goals in the NBA. When Dwane Casey was hired in the summer of 2011, the Raptors had made the playoffs in just five of their 16 years of existence. They had finished in the top half of the Eastern Conference, good enough for home-court advantage in the first round, just once. If you had asked Raptors fans during that offseason what their goals were, the answers most likely would not have been “championship or bust.” They may not even have been about being at the top of the East. Just having a team that reliably finished above .500, as the Raptors had done only twice in the previous seven years, likely would have sufficed. Casey did far better than that. This year marked five consecutive seasons where the Raptors finished as one of the top four teams in the conference. Only one other team in the East achieved the same feat more than twice in those five years: LeBron James’ Cavs.